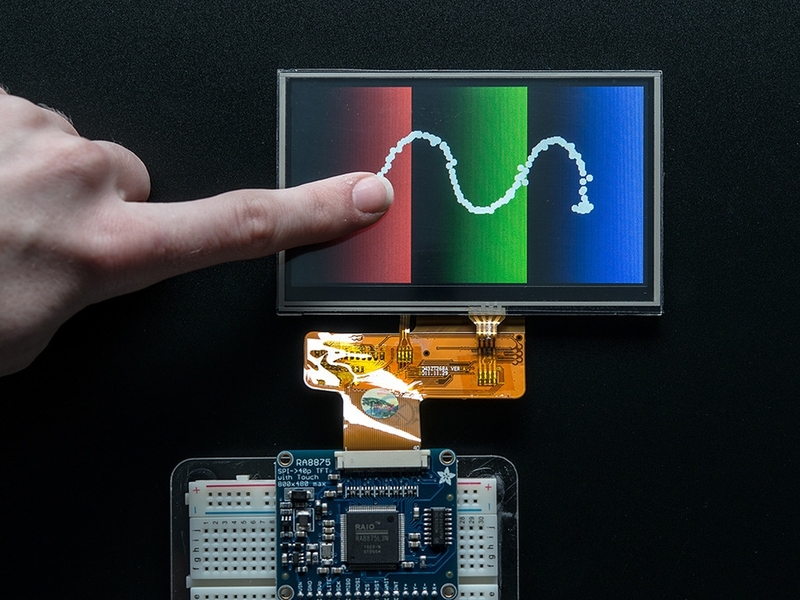 the chip and the display. 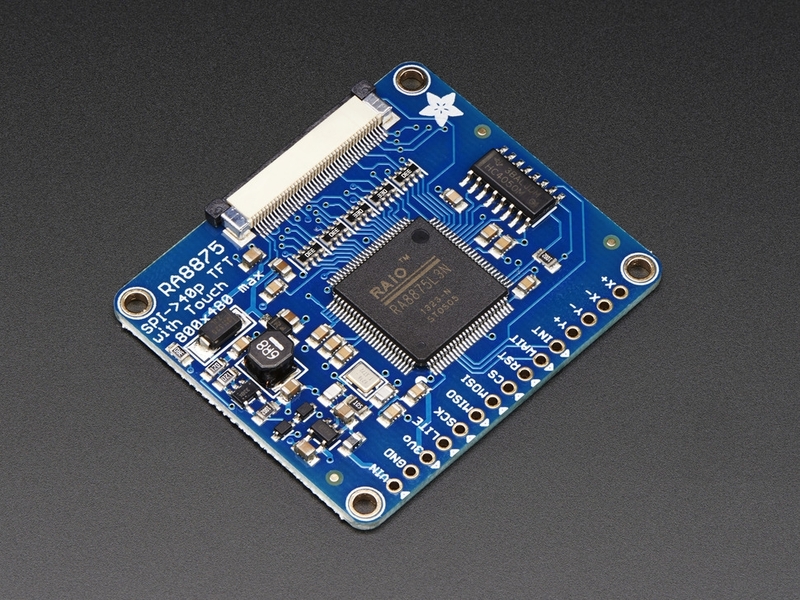 For the backlight, we put a constant-current booster that can provide 25mA or 50mA at up to 24V. The connector to the screen is a classic '40 pin' connector. 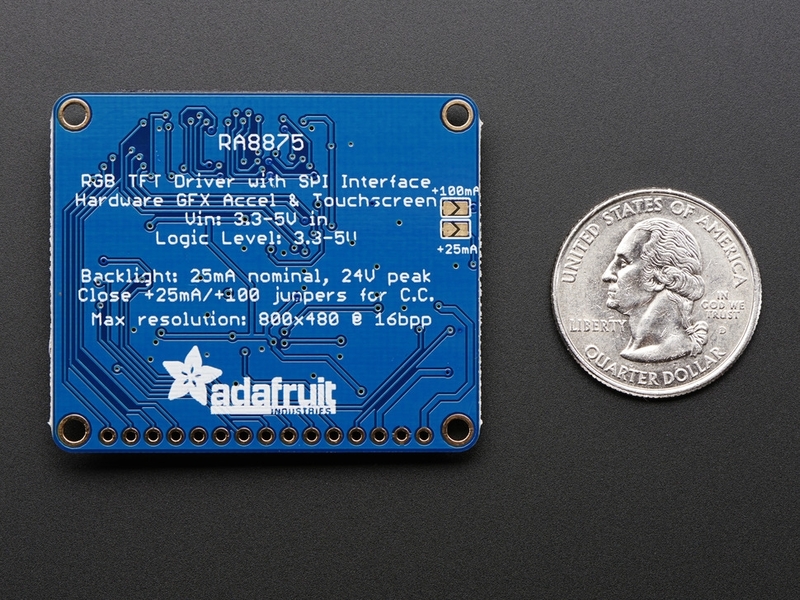 All the 40-pin TFT's in the Adafruit shop are known to work well. 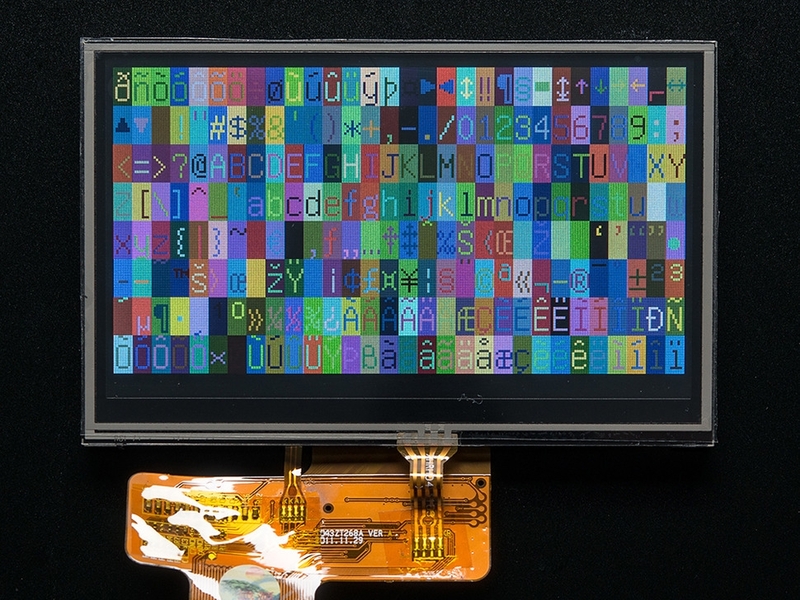 There are other 40-pin displays that have different pinouts or backlight management and these may not work - they may even damage the driver or TFT if the boost converter pushes 24V into the display logic pins! 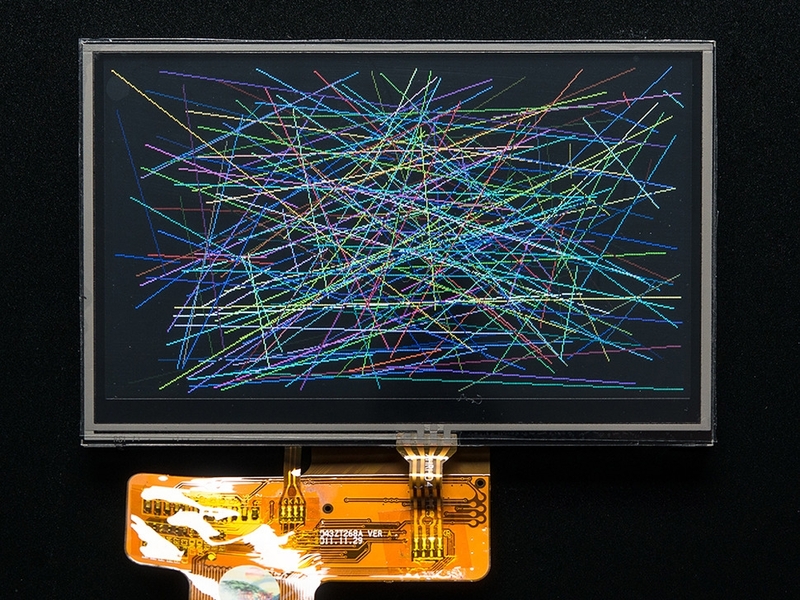 For that reason, we only recommend the displays we've tested and sell here. 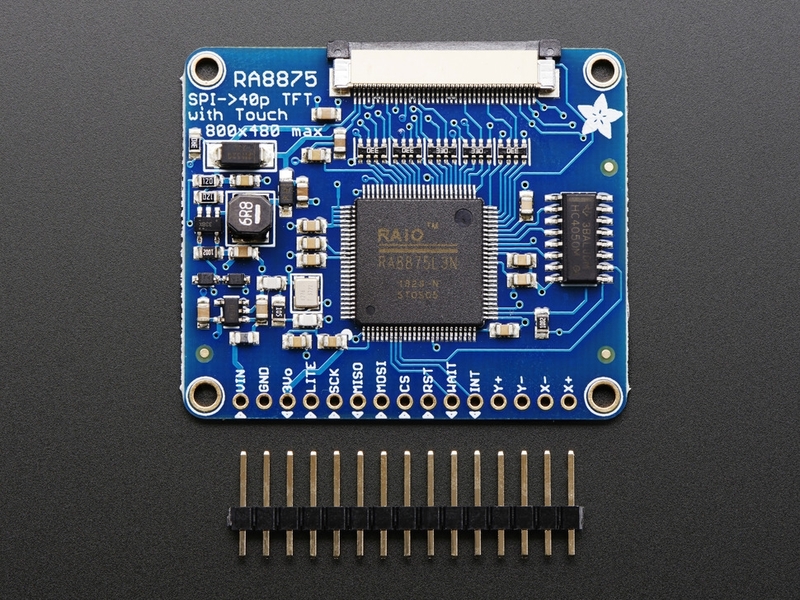 Each order comes with an assembled, tested RA8875 breakout and a stick of header. 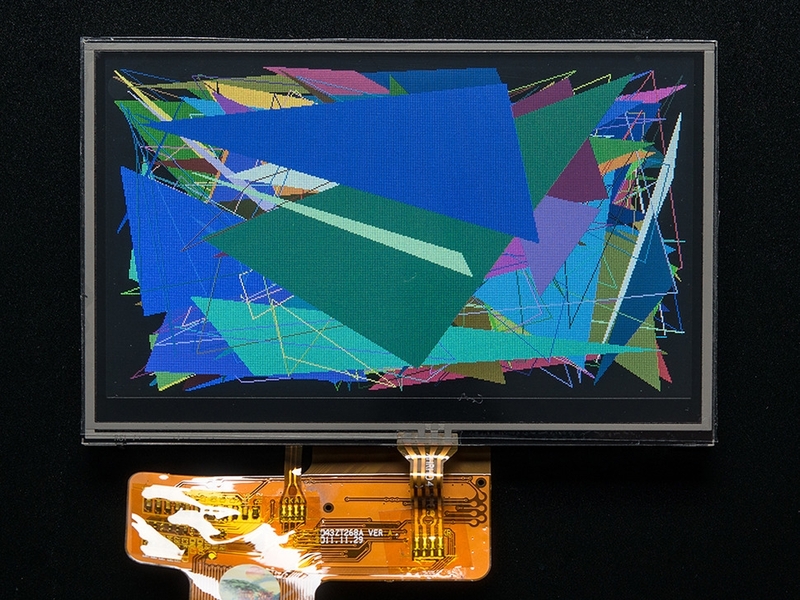 You'll also need to purchase a 40-pin TFT screen. We currently have 4.3" and 5.0" screens available.